The IPO market is back in action, with tech companies driving the most excitement and highest returns. Here's a look at who's on deck. Uber's latest funding valued the company at a whopping $62 billion. After a sluggish couple of years, IPOs are roaring back to life. The current IPO market is the most active in years, with more than 60 companies going public during the second quarter of this year. That's more than any quarter in three years, and outpaces last year by 40%, according to data from Renaissance Capital. With companies raising a total of $13.1 billion during the quarter, biotech, healthcare and tech stocks ruled the day. Powered by offerings from Spotify Technology SA (SPOT , AXA Equitable Holdings Inc (EQH , Docusign Inc (DOCU and Pluralsight, Inc (PS the IPOs delivered an average return of 29% in the second quarter. Favorable global market conditions, along with well-received recent offerings such as Dropbox Inc (DBX , are expected to nudge even more highly-valued companies into the public markets soon. "All the major engines of growth in the global economy are now synchronized in an upward trajectory for the first time since the end of the global financial crisis," wrote Ernst & Young partner Jackie Kelly in a recent report. "A healthy pipeline continues to build, led by health care and technology companies." Here's a look at some of the most-anticipated tech IPOs making their way down the pipeline -- however gradually. On Friday, July 6, the high-end speaker maker filed paperwork to go public, seeking to raise $100 million in the offering. In the filing, the company reported nearly $1 billion in revenue in 2017 and touted its customer statistics: 19 million registered products in nearly seven million households worldwide, with more than half of its revenue generated outside of the U.S. Sonos' largest shareholders are private equity firm KKR, which owns 26% of the company, while Index Venture and CEO John MacFarlane each own 13% apiece. Sonos tapped Morgan Stanley, Goldman Sachs and Allen & Co as the lead underwriters of the offering. Among its biggest risk factors? The company cited factors such as operating costs and its direct-to-consumer sales channel, but also trade chaos: "If significant tariffs or other restrictions are placed on Chinese imports or any related counter-measures are taken by China, our revenue and results of operations may be materially harmed," Sonos said in the filing. With demand for cybersecurity services higher than ever, one of the most muscular private security firms out there may be plotting a blockbuster IPO. Tanium, a security management firm, was valued at about $5 billion after a $175 million investment by TPG Growth in May. Tanium's CEO Orion Hindawi touted "well over $200 million in revenue" during 2017, and has frequently teased a public offering for the security powerhouse. The company hasn't offered a specific timeline for a filing, but cited in an email its progress in "creating a successful independent company," which includes 80% growth in annual recurring revenue, cash in excess of $300 million, near 100% renewal rates for its subscription licenses and a continued streak of positive operating cash flow for 2017.
in April 2017, Tanium also hired Fazal Merchant, who served previously as CFO at Dreamworks, to act as both CFO and COO at Tanium. Hindawi told Fortune in April 2017 that Merchant's task was to prepare the company for an IPO. We'd be remiss if we didn't mention one of the most-watched private companies in the world, Uber Technologies Inc. Reporting a $62 billion valuation as of May, it's among the most valuable -- and the most scandal-plagued -- 'unicorn' startups. 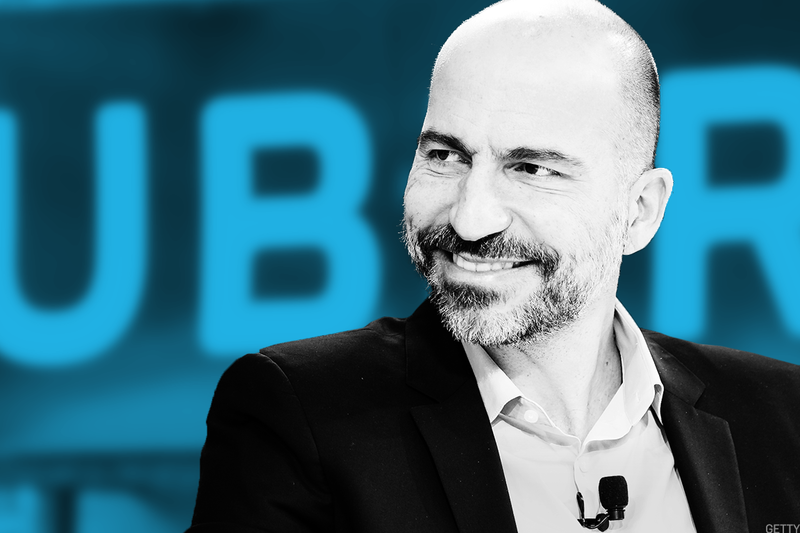 Having navigated a stormy year filled with executive upheaval, harassment probes, myriad lawsuits and finally the appointment of a new CEO, Dara Khosrowshahi, the ride-hailing giant is getting serious about its next challenge: a public offering. In a May interview, Khosrowshahi said that he intends to take the company public in the latter half of 2019. There's still a lot to figure out before that happens, though: The Uber boss said they hadn't yet started interviewing Wall Street banks to usher them through the process. It also has a complicated web of stakeholders to contend with: Uber has 129 active investors, according to FactSet, which include Saudi Arabia's Public Investment Fund, Baidu Inc (BIDU - Get Report) , Sherpacapital LLC and General Atlantic LLC. Softbank Group Corp (SFTBY is Uber's largest shareholder, controlling 15% of the company. To sort all of this out, Uber also needs a CFO. It hasn't had one since 2015, and had reportedly recruited VMware CFO Zane Rowe for the gig -- but it didn't work out. The multi-billion dollar home-sharing company has also drawn eyeballs for its stratospheric valuation $31 billion) and seeming preference for staying private. But that may be changing soon. Airbnb Inc. has been snapping up smaller companies in the travel services business, including Luxury Retreats, Accommoble and Tilt, all acquired during 2017. And CEO Brian Chesky has said that the company will be "ready to IPO in 2019," though its not clear when exactly Airbnb will make the jump. Like Uber, Airbnb has struggled to find a consistent CFO. Laurence Tosi left the company in February, reportedly amid tensions with Chesky over whether to take the company public. He had previously led finances at the Blackstone Group LP (BX - Get Report) , and was expected to help usher the company to the public markets. As Airbnb continues its search for a CFO, Chesky is promising restless employees that the company will aim to go public by "late 2020," though it could be sooner. According to a report from The Information, the company is also offering a restructured compensation plan that includes cash bonuses for employees looking to cash out sooner than 2020. This column originally appeared on July 6 on Real Money, our premium site for active traders. Click here to get more great columns like this.